All our veils come in different lengths. 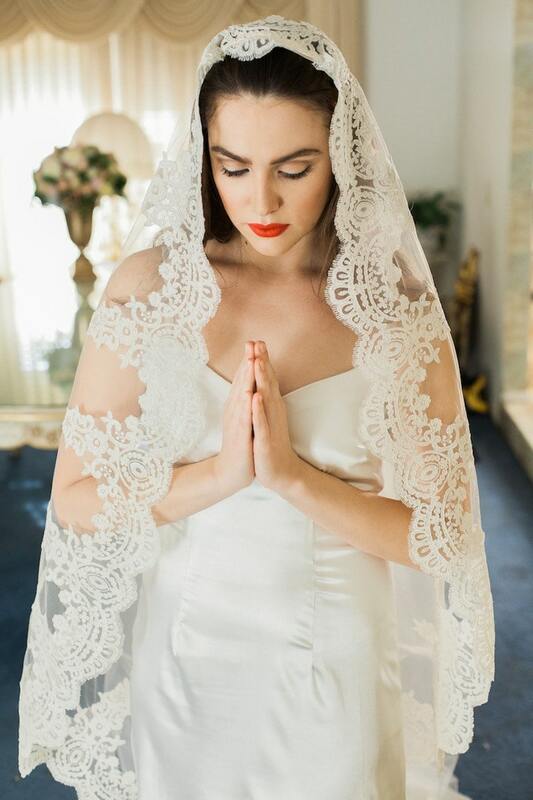 Our Sofia Ivory Veil is pictured in Cathedral length, but it is also available in the lengths listed below. **All our veils are hand-stitched to silver metal combs. 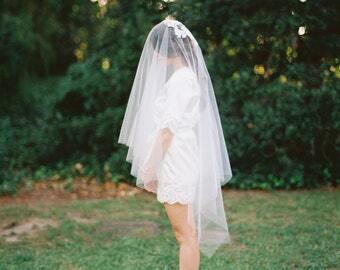 This veil is gorgeous. Originally I was going to purchase the veil that I tried on with my wedding dress, but it was very expensive, close to $1000.00. I decided to shop around, and I'm glad I did. This veil is absolutely beautiful and reasonably priced. I cannot wait for my special day.